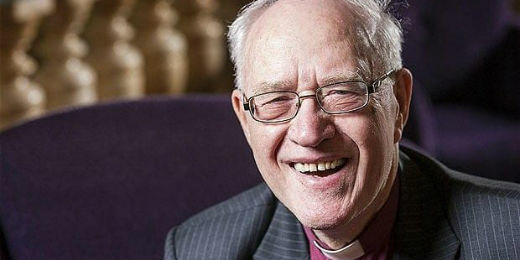 Upon Bishop Mouneer Anis' invitation, Lord George Carey, the former Archbishop of Canterbury, is currently visiting the Diocese of Egypt. His visit started on Saturday July 7th and will continue till Sunday July 15th. During his visit, Archbishop will meet with the Grand Imam, Ahmed El-Tayeb, among many other important visits within the Diocese of Egypt. “Reforming Religious Discourse as a Way of Combating Terrorism” at St. John the Baptist Church, Maadi, on Friday 13th July at 7.00pm. To finish, the former Archbishop will give the main speech at the graduation ceremony for the students of the Alexandria School of Theology. Bishop Mouneer invites you to please come and join “Lord George Carey, the former Archbishop of Canterbury” during his tour of the Diocese of Egypt.